High Risk is an old movie with a terrible DVD transfer. It's got a dreamy James Brolin, a young Bruce Davison, and the ever wonderful Clevon Little. Doesn't matter though, because Jason is mostly interested in refusing to accept the new Star Wars movie is just okay, and Todd is horribly hungover. 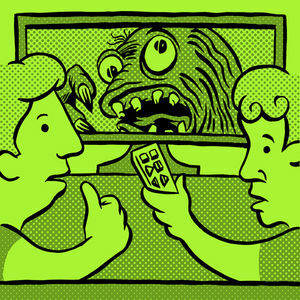 For the first time ever in this podcast's history, Todd actually has to go puke. Is it the movie or the Vicodin he took in a vain attempt to make himself feel better? It's a real mystery.